At Black Lotus Brewing Company, you can feel good about both supporting a local brewery and getting to experience some of the best brews in the tri-county area! Not only can you gather up your friends and have a sampling event, you can also lay back on the comfortable sofas and enjoy a fantastic meal. You’ll be happy to know they also serve organic, whole leaf teas. There’s live music on Tuesdays and Wednesdays, or if you’re feeling daring you can step on the stage yourself on Mondays for open mic. 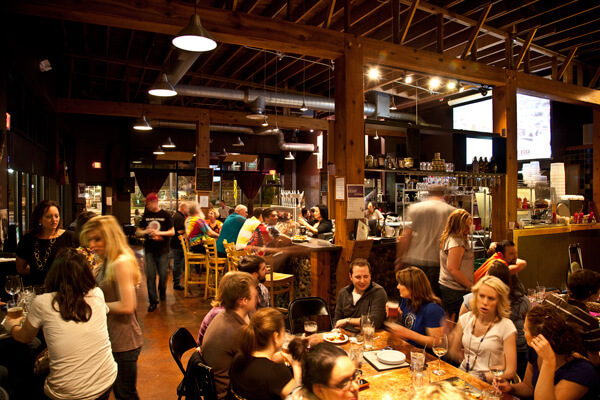 Experience it all at Black Lotus Brewing Company.